How violent talk blocks sane firearm laws. Washington—The slaughter in Tucson hasn’t shaken us out of bad political habits. Instead of promoting a sober conversation about the dangers of violent political talk, it has reinforced divisions between left and right. Even responsible conservatives have dismissed any suggestion that Saturday’s attack is reason enough to condemn the threats of violence that have become standard to the discourse at the extremes of their side of politics. More importantly: We have not focused at all on how the militarized rhetoric on the right is tightly connected to our national failure to enact the gun regulations that might have saved lives in Arizona. The descriptions of President Obama as a “tyrant,” the intimations that he is “alien” and the suggestions that his presidency is illegitimate are essential to the core rationale for resisting any restrictions on firearms. The conversation of American conservatism is being shaped by the assumptions of the gun lobby to a much greater degree than mainstream conservatives should wish. For a long time, liberals hoped that by persuading opponents of gun control that we harbored no hostility to the vast law-abiding majority of gun owners—or to hunting or to rural culture—we might forge a consensus around rational firearms laws to protect innocents. But in part from e-mail exchanges with ardent foes of gun control over the years, I came to realize that the real passion for a let-anything-go approach to guns has little to do with culture or hunting. It is rooted in a very peculiar view of how America has maintained its freedom. 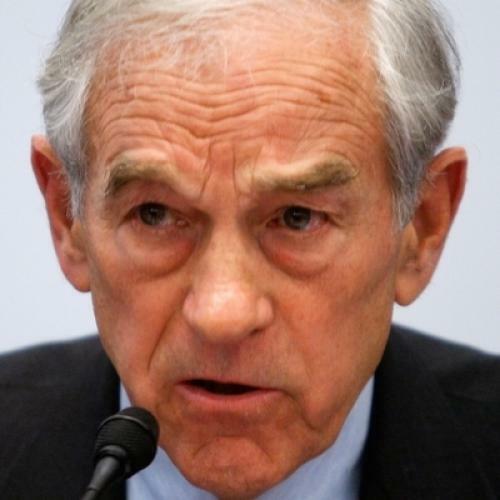 Rep. Ron Paul, as is his wont, expressed it as plainly as anyone. And at a Washington rally last year on the anniversary of the Oklahoma City bombing, Rep. Paul Broun, R-Ga., linked this view to the current occupant of the White House. “Fellow patriots, we have a lot of domestic enemies of the Constitution, and they’re right down the Mall, in the Congress of the United States—and right down Independence Avenue in the White House that belongs to us,” he declared. “It’s not about my ability to hunt, which I love to do. It’s not about the ability for me to protect my family and my property against criminals, which we have the right to do. But it’s all about us protecting ourselves from a tyrannical government of the United States. Let’s salute Rep. Peter King, R-N.Y., for breaking with gun-lobby orthodoxy by suggesting legislation that would make it illegal to carry a weapon within 1,000 feet of elected or high-ranking federal officials at publicly announced events. But by Broun’s logic, isn’t King’s proposal just a way for big government’s servants to protect themselves from, shall we say, accountability? And if the rest of us ask for comparable protection, this just proves to gun control’s opponents that any single restriction leads down a slippery slope to eviscerating all gun rights—and, eventually, to tyranny. Of course most conservatives don’t subscribe to Broun’s theory. What I don’t understand is why the highest priority of so many who are not Brounites has been to resist any questioning of far-right rhetoric by pretending that doing so is the equivalent of holding those who speak that way responsible for what someone else did. No. Jared Loughner, the accused killer, is accountable for his own actions. His politics are confused at best and he clearly has mental health problems. That is what most liberals are saying. But, yes, this is the time to acknowledge that there is something deeply wrong with the militarization of American conservative rhetoric. Doing so is not—and there are many problems with the term—what Sarah Palin has called a “blood libel.” The approach to guns, violence and “tyranny” promoted by loud voices on the right has been instrumental in blocking measures that could at least have contained the casualties in Tucson—or at Virginia Tech or Columbine. Extremism in defense of feeble gun laws is no virtue.